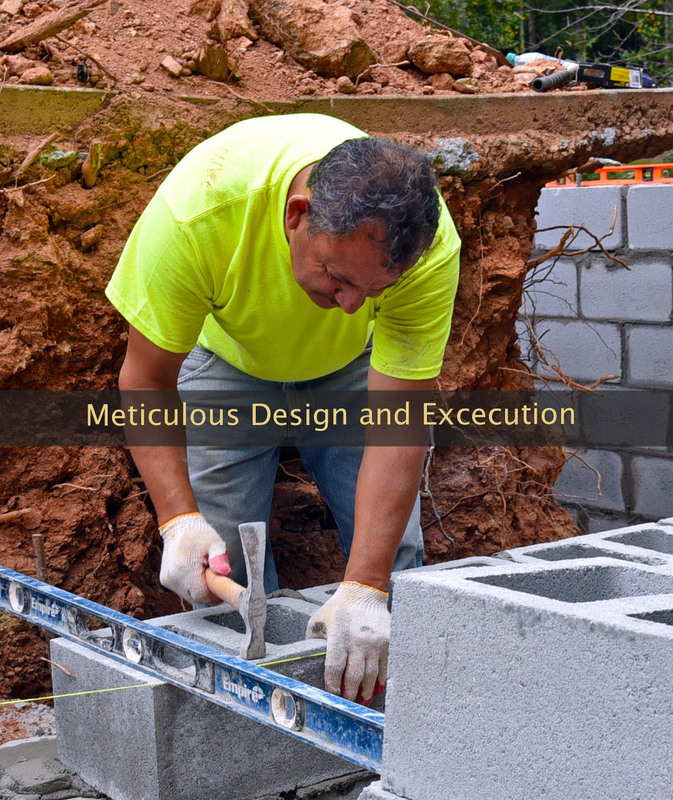 Retaining Walls & Concrete specializes in replacing rotten timber or cross-tie walls with high-performance concrete block retaining wall systems. We are professional builders of new and replacement residential retaining walls as well as concrete or paver driveways. If you are experiencing severe soil erosion, have a driveway supported by a rotten or deteriorating retaining wall, or would like a flat yard to increase the functional area of your property, we can help. Either residential or commercial, we’ve got all of your retaining wall needs covered. From modular block retaining walls, timber, stone, or concrete retaining walls, we offer the latest styles and materials. Wall Pros specializes in more aesthetically pleasing walls made with synthetic or natural stone, stucco, masonry and high-performance decorative block walls. Structural engineer and landscape architect on staff for more complicated or sophisticated projects. 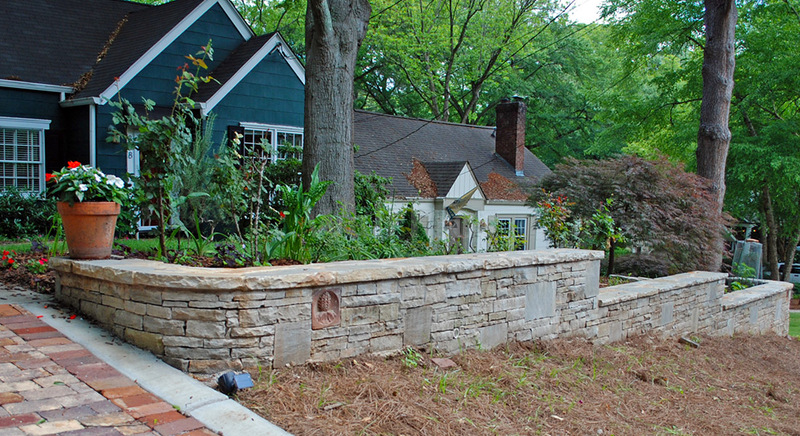 Get a free estimate on a new or replacement retaining wall in metro Atlanta and points north. Stop soil erosion and create even spaces for patios and play areas.